Are you worried that you or someone close to you is suffering from Fentanyl addiction? Help is at hand. Here, we tell you all about what Fentanyl is, the dangers associated with it, addiction to Fentanyl and the signs and symptoms, and how we can get you or a loved one the best possible treatment locally, in the UK and overseas. 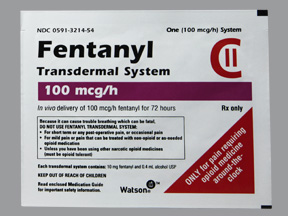 Fentanyl, also known as Fentanyl is a very strong synthetic opioid analgesic. It is extremely potent and up to 100 times stronger than Heroin and Morphine. If used recreationally or abused it can cause instant overdose and death. It is a controlled medication and prescription drug that is only usually administered to end of life patients in excruciating pain or with serious illnesses such as Cancer. It is always administered under strict medical supervision, to ensure that the patient’s life remains safe. Fentanyl has a rapid effect, but lasts only a short duration. Medically is usually administered intravenously or through Fentanyl patches, which provide slow release of the drug into the system. It is also prescribed in lozenge form that slowly dissolves in the mouth and in pill form to be swallowed orally. Its medical use has been a breakthrough in treating cancer patients’ pain, in those that have become tolerant to less stronger opioids such as Morphine. 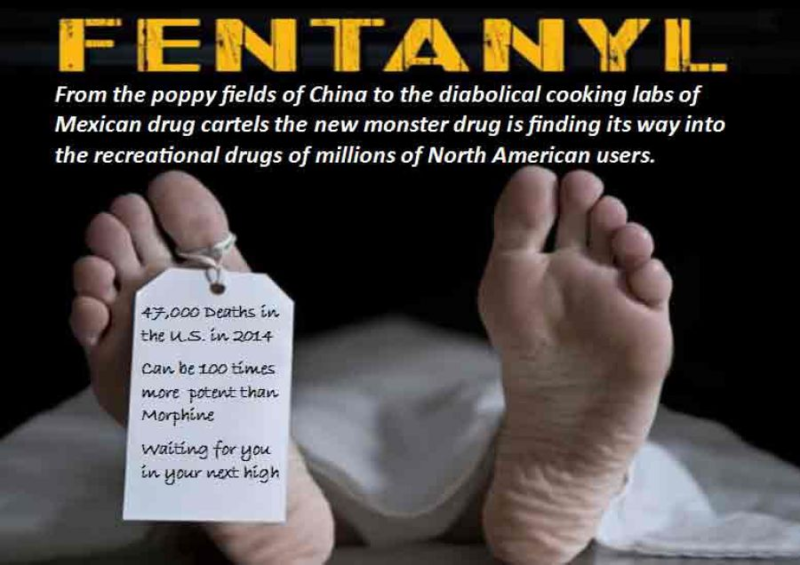 Previously Fentanyl addiction has been most prevalent in the US, Mexico and Canada, with so called “drugs lords” realising its potential for huge profit in cutting it with Heroin. However, over the recent months it has reached the UK. Previously it has reached Ireland also. It has caused an alarming number of deaths in the North, West and South Yorkshire area in recent months; with six deaths being recorded over the Easter weekend of 2017. It has now spread to North East England and the Midlands. Police have seized many batches of Heroin from homemade laboratories and dealers in these areas that have been found to be contaminated with this Fentanyl. It is 100 times more potent than street Heroin and dealers are cutting Heroin with it to make more money and get users more physically dependent. Many Heroin users are unaware and so take Heroin laced with Fentanyl; as a result, they can immediately overdose and die or become heavily dependent on the drug. Even the tiniest amount added to Heroin can be lethal to an individual who has no tolerance to Fentanyl. The drug, when used in this way, rapidly deteriorates the user and is extremely difficult and dangerous to withdraw from. The infographic below give you a clear picture of the number of deaths recorded in its most prevalent area, the US. With the drug now available in the UK, the UK is now open to Fentanyl related deaths of epidemic proportions. Fentanyl is extremely dangerous if taken illegally and non-prescribed. It is also very dangerous to abuse it as a prescribed drug (take more than the prescribed dose for its euphoric effects). Its potency can instantly cause overdose and death. Users can become very quickly addicted to Fentanyl and will go to any lengths to obtain the drug and stave off the horrendous and dangerous withdrawal symptoms. It is not a drug to be messed with or taken lightly. Fentanyl addiction and Fentanyl abuse are very serious conditions that require immediate intervention with medical and professional treatment. Addiction Helper are receiving more calls from individuals addicted to Heroin and Fentanyl than ever before. Addiction is a “chronic relapsing brain” disease, as defined by the National Institute on Drug Abuse and Public Health England. Fentanyl is a drug that causes dependency very quickly. When mixed with Heroin it can often be fatal; leading to severe drowsiness, respiratory difficulties, coma and death. Stopping Fentanyl needs to be medically monitored, ideally within a residential setting where the patient can be looked after 24/7 and receive the correct treatment to enable them to detox safely. This is an absolute must for those that have been taking Fentanyl mixed with other drugs for a period of time. No one chooses to become addicted to Fentanyl; If addiction was a choice, surely the individual would choose to stop when they start to suffer negative and harmful consequences? Yet despite breakdowns in relationships and families, lost jobs, health warnings, attempting various methods of control or stopping….the addict continues in their downward spiral of self-annihilation and harm to others. Addiction is a life threatening disease, no matter what the substance or self-destructive behaviour is involved. Eventually, it strips the individual of all confidence, self-worth and love; taking them to a place of isolation and numbness where they wish for the end. Fentanyl is an extremely powerful synthetic opioid painkiller that has similar effects to Heroin and Morphine but up to 100 times stronger. The effects produced by the drug are very similar to Heroin but much more pronounced. 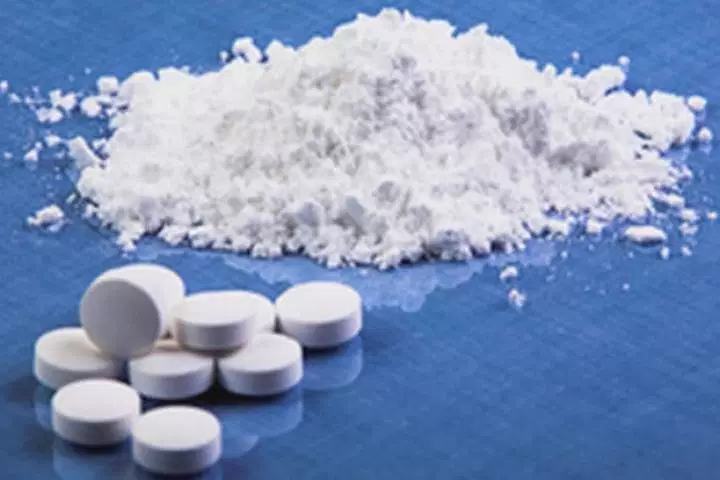 An individual using Fentanyl for its pleasurable effects, will experience effects including extreme euphoria, drowsiness, sedation, warmth and complete disconnection from painful emotions. The adverse effects of Fentanyl include chronic constipation, severe weight loss and dehydration, nausea and vomiting, confusion, unable to co-ordinate movement, very slurred and slow speech, respiratory depression and arrest, unconsciousness, coma and death. When mixed with other drugs, especially drugs that cause sedation such as Alcohol , Morphine , Methadone , Benzodiazepines and Heroin the risks of death are vastly increased. Fentanyl addiction or abuse can be difficult to differentiate from Heroin addiction and abuse as the effects are so similar. Regardless of the substance involved; if your loved one is showing any of the following symptoms you have good reason to be concerned. It indicates that your loved one has a problem with a very powerful sedative drug. In the event of a loved one showing symptoms of overdose, do not waste time, call the emergency ambulance services immediately! Any marked change in an individual’s appearance or behaviour should not be ignored; it crack means that your loved one has a problem; quite possibly with drugs, such as Heroin, Crack Cocaine or Fentanyl. If you are still unsure, or need professional advice as how to help your loved one get the correct treatment, please call us and we will do all we can to help. 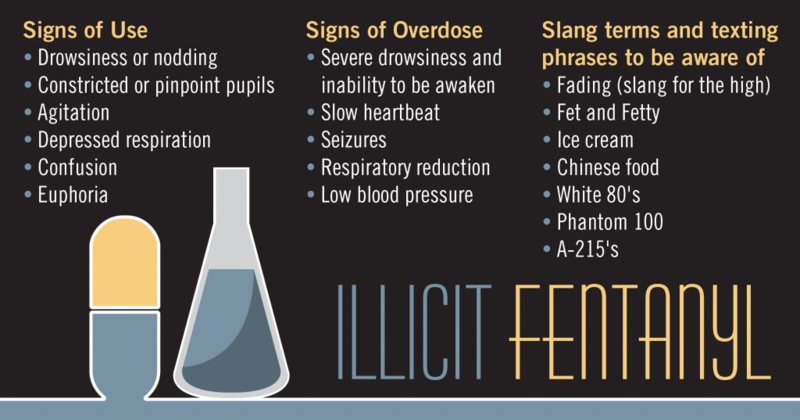 Fentanyl can be ingested in a number of ways by someone who is illicitly abusing it. This includes, crushing and snorting Fentanyl pills, abusing use of Fentanyl patches, inhaling vapourised Fentanyl or smoking the powder form and injecting the liquid form. When Fentanyl is mixed with Heroin you will find the same paraphernalia associated with Heroin abuse and Heroin addiction . Please check out our Heroin page, which describes in detail the paraphernalia associated with Heroin addiction. Fentanyl dependence is both physical and psychological. As a narcotic, it is extremely addictive and an individual can build tolerance to it within a matter of weeks. Tolerance occurs when the body and brain’s chemistry have adjusted to normalise a certain amount or dosage. At this point, the individual will no longer gain the same pleasurable effects and will need to increase the amount and frequency to once again experience the euphoric effects of the drug. This is a never ending downward spiral, as the individual finds themselves taking more and more or mixing with other drugs for increased effects. Fentanyl, which is a Class A narcotic and controlled medical drug, causes dependency even more quickly when mixed with Heroin, as Heroin is powerfully addictive. Fentanyl works by binding to the opiate receptors in the brain. These receptors are responsible for how you feel and regulating emotions and mood. When Fentanyl binds to the opioid receptors, the brain is flooded with Dopamine, which is a neurotransmitter and brain chemical that makes you feel good. It has been identified that addicts lack in the natural production of Dopamine; so the body and brain latches onto anything that produces this chemical. This is what drives addicts to keep seeking out their next high, regardless of consequences. Each time an individual takes Fentanyl, more of the drug is required to release the same amount of Dopamine. The effects are both psychological and physical. 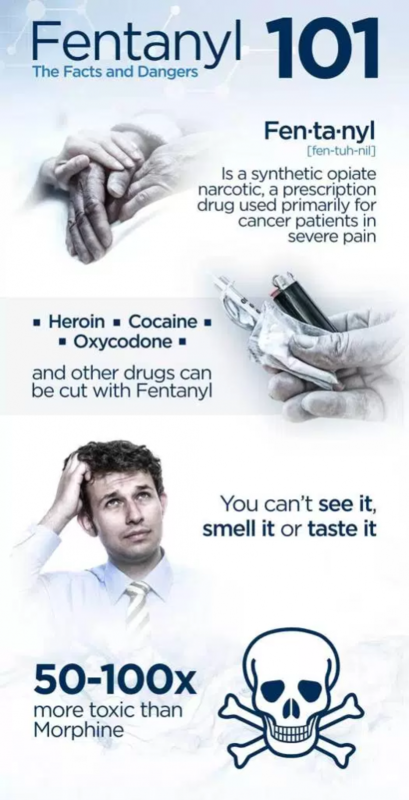 This is how dependency to Fentanyl occurs. Once dependent and addicted to Fentanyl, the individual will require a full medical detox to control the dangerous and very nasty withdrawal symptoms, which can last for some time, especially if you have a long term dependency or have been mixing it with other drugs. Depending on the individual’s circumstances and the level of addiction or abuse they are suffering from, will indicate the type and the intensity of treatment required for a full and permanent recovery. Inpatient residential rehab is the preferred option for success and safety. Addiction Helper can advise on many different rehab options to suit all budgets. Please do not hesitate to call us and speak to one of our knowledgeable and friendly addiction experts. We can assess you or your loved one, free of charge, and provide confidential and professional advice on the best Fentanyl addiction treatment programmes in the UK and overseas. We only work with rehabs that are highly established, use proven methods of Fentanyl addiction treatment and detox, and are regulated by the Care Quality Commission. Whilst addiction cannot be permanently cured, Fentanyl addiction can be successfully treated just like any drug addiction can be. The first step towards treating Fentanyl addiction is usually detoxification where a dependency has developed – a process that removes the drug’s toxins from the body safely and in a controlled manner. Withdrawing from Fentanyl can be intensely painful, sudden withdrawal can be life-threatening, especially when there is another substance involved. Detox should therefore always be carried out in a medically supervised environment where the Fentanyl addict is regularly monitored and medication can be prescribed to alleviate withdrawal symptoms. Detox for any type of drug addiction is most effective in a residential treatment environment, as individuals are given care around the clock and drugs are not accessible. There is also the added advantage of undergoing a full rehabilitation programme at the same time, to treat the psychological aspect of addiction. This is a must for any addict that has lost complete control of their substance use. Detox alone is not enough for sustained abstinence from Fentanyl use. A period of rehabilitative care is essential to help the individual understand the nature of their addiction and to equip them with the recovery tools for a life free from drug abuse. Rehabilitation for Fentanyl abuse and addiction involves a combination of treatments, including individual counselling, group work, cognitive behavioural therapy, education, and relapse prevention. Like detox, rehabilitation for Fentanyl addiction is most successful in a residential facility with an intensive, structured programme of treatment. Addiction Helper are able to facilitate urgent admissions and provide a bespoke and intensive detox and rehabilitation programme for you or your loved one. We witness the miracle of recovery from addiction daily, let us help you. Can You Get Free Rehab for Fentanyl Addiction? Free rehab for Fentanyl addiction can be accessed through two pathways; there are a select number of Christian Rehabs in the UK; but they are religion specific and not for everyone. The other route is to apply for funding through your local drug and alcohol team (DAT). You can find details of your local DAT team. DAT takes self-referrals and also referrals from other agencies, so you do not have to go through your GP. By engaging with your local DAT you will receive keyworker session and access to groups held within in the centre. They can also arrange for counselling. However, applying for funding for drug rehab is not easy and nor is it quick. On average it takes up to six months, a year in some areas. Waiting lists are very lengthily and funding is very limited, so therefore only awarded to most deserving cases, usually Class A drug dependencies and Alcohol dependencies. If you are considered a suitable candidate for drug rehab funding, you will be required to attend numerous appointments and complete a pre rehab course in preparation and to show you are willing. Sadly, some die waiting for rehab, as most individuals with a Fentanyl abuse problem or addiction will only seek out help once they have reached crisis point. The quickest way to access addiction rehab is through a private rehab clinic. If you or your family have the means to fund this, Addiction Helper can assist you in an immediate admission today! 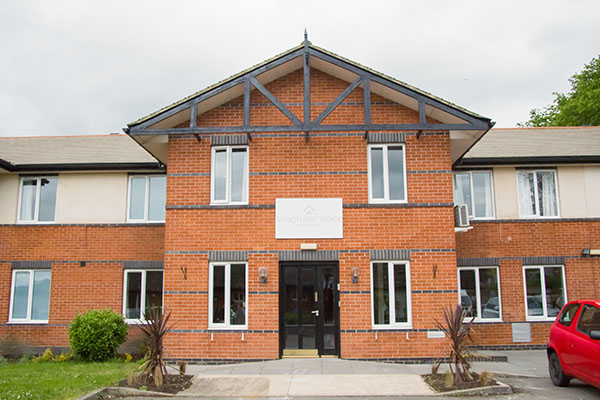 Call us now for more information on how to access the best drug addiction treatment centres in the UK and overseas. You or your loved one can access free local community support from 12 Step fellowships such as Narcotics Anonymous. There are also Smart group meetings available which focus of goal setting in achievable measures. Please click on the links to find out more about their meetings and to locate one near to you. Treatment administered by qualified professionals such as Doctors, Medical Staff, Counsellors, Psychologists, Psychiatrists, Holistic Therapists and Rehabilitation Recovery workers. For more information and a comprehensive assessment of you or your loved ones individual treatment needs for Fentanyl addiction, please call us now or chat to us live online!